Office space to let in the Howbury Technology centre able to suit a range of businesses, with a professional, modern look and with the additional option of workshop space. 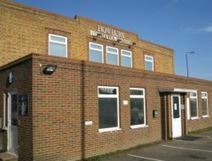 Parking is available on-site and the property is located in the Crayford area of Kent, close to shops and services and nearby Slade Green rail station. 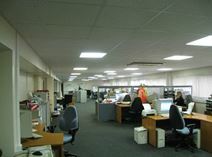 Modern air-conditioned offices in various sizes, available on flexible leases. Situated near Crayford on the A206, a direct route into central London. A short walk to local shops and Slade Green rail station, for trains to London Bridge in just over half an hour. Conveniently located for the A2 and M25. This property, London House business centre, houses a range of smart, modern offices which would suit a variety of companies and which have recently been renovated to a high standard. The premises are close to M25 junctions and to Slade Green rail station which provide easy links both into London and throughout Kent. Recently refurbished industrial unit with loading bay, storage area and electric shutter door. Situated on the A206, offering a direct route into central London. A short drive to junction 1a of the M25, and to the A2. Within walking distance of local shops and train services.